Sneak A Peek At Ban.do's New Releases! A little birdie told me that Ban.do is releasing a new collection some time soon and it's going to be one of the best ones yet. And by little birdie I mean just a handful of Instagram posts that I discovered after almost an hour of creeping through pretty much every Ban.do hashtag and photo mention. About a week ago Ban.do's PR company held a showcase in which they revealed the newest items for fashion and retail insiders to preview and "pre-shop" for their respective stores and websites. Lucky for you and I some of the PR Preview party goers posted pictures of their favorites and now, by searching the #BandoFun and @ShopBando tags, I have a little sneak peek at what's to come. 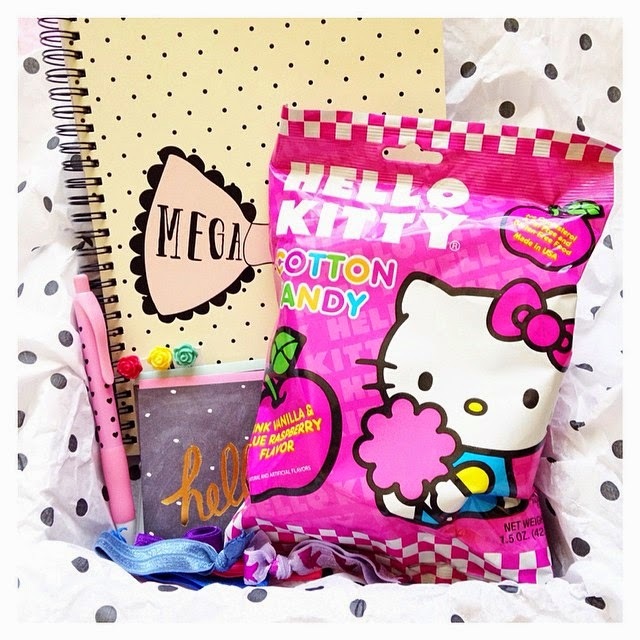 First things first, the 2015-2016 Ban.do agendas will come in at least cotton candy pink. The blue of yesteryear may be no longer and my sneaking suspicions think that the gold and white pattern peeking out from underneath the pink little booklet may be another of the 2016 agendas in a more daring print. More new things coming for those who loved the pink and white striped pattern of Ban.do's last collection because it seems they are adding a pink and white notebook with "I Did My Best" plastered on the front and possibly 3 different sets of file folders all centering around the pink and white striped pattern and the cotton candy pink of the 2016 agenda. A teeny weeny piece of the new sticky note set is peeking out from the corner and if you're like me and bought the summer time set last year you're faced with the great dilemma of trying to finish all of your sticky notes super quickly or just save the last bits left so you can have twice the Ban.do sitting (sticking?) on to your desk. Of course it wouldn't be a truly new Ban.do collection if they didn't update the patterns and prints of their tumblers and thermal mugs. I am super excited about the sparkling and shining silver and periwinkle thermal mug that looks to be hitting stores very very soon. Lastly are the newly introduced "Party Time" coasters and pink and gold luggage tags which for any world traveler will be hit on the runway; the airplane runway that is. I'm tempted to buy a set for myself, but really, where would I go? What's your favorite part of Ban.do's upcoming collection?? And are you as psyched as I am that there is going to be so much office supplies (rather than bags and wristlets...)! 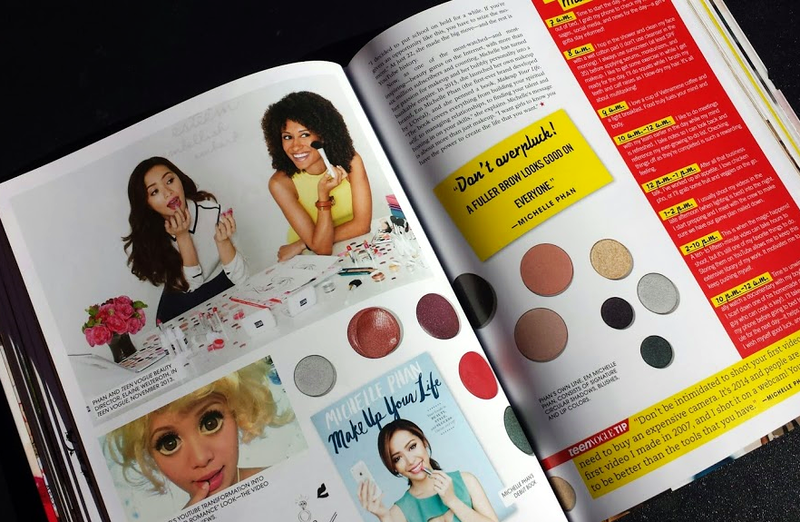 Last year I made the 2014 Fall edition of A Fashionista's Reading List and at the very top of my list was the new and improved Teen Vogue Handbook. 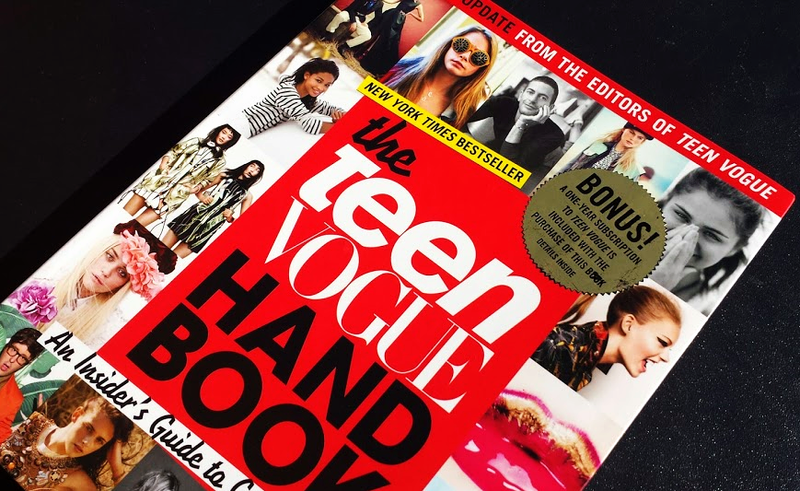 five years after its original publishing date,The new Teen Vogue Handbook has an entirely new section, "Digital," featuring extensive interviews with the likes of Leandra Medine of The Man Repeller and Twitter-famous @OscarPRGirl which is a serious upgrade compared to the last edition which only included digital giants Net-A-Porter and Fashionista. Scattered elsewhere throughout the book are interviews with Andrew Bevan, one of my absolute favorite Teen Vogue editors, Phillip Picardi, a hilarious former beauty editor at Teen Vogue who now works at Refinery29, and Michelle Phan, THE Youtube Beauty Guru. If any of you are familiar with the original Teen Vogue Handbook don't be mistaken, the newer edition isn't filled with just new fashion talent. 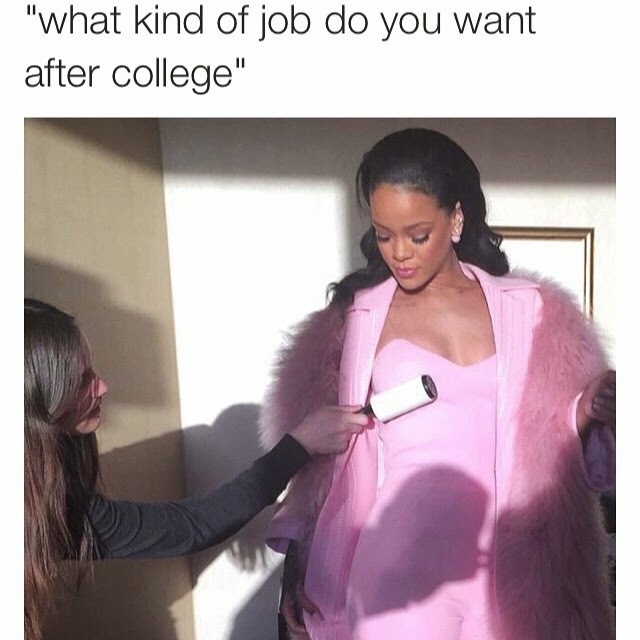 There are interviews with classics like Marc Jacobs, Anna Wintour, Arthur Elgort, Pat McGrath, and Chanel Iman. I will say that I don't believe the 2nd Edition is filled with 90% new content, as advertised (more like 40-60% to me...), but the newest parts are some of the best. The biggest improvement: the index that once had lists upon lists of fashion and art schools now is pages and pages of interview advice and compressed tips about getting ahead in the fashion industry. But the number one piece of advice I took from The Teen Vogue Handbook 2nd Edition was that being a fashion blogger or having tons of followers on Instagram doesn't mean you qualify for any job in the fashion industry. 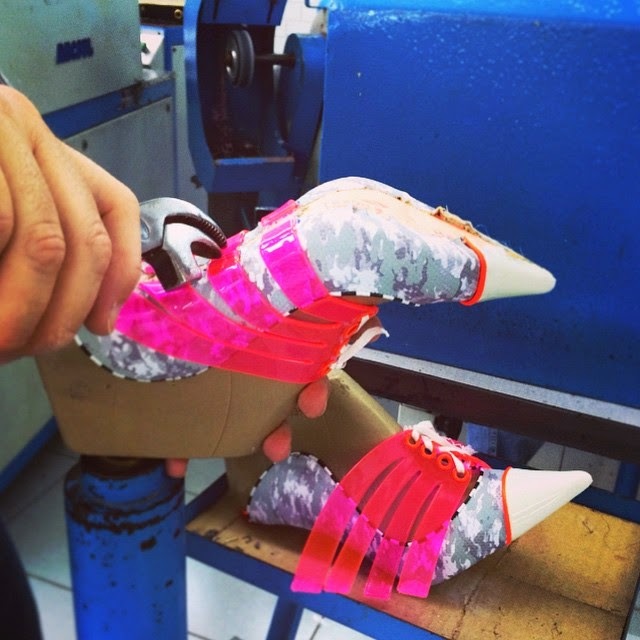 More than anything getting an education in the fashion field of your choice is the best route to take and having a strong online presence is a great bonus. I can't believe it slipped right past me on March 1st that it was the one year anniversary mark for my 101 in 1001 challenge. When I first started out with the list I tried to cram activities and accomplishments into my life on an almost daily bases in order to fulfill the seemingly endless list of things I'd have to do in 1001 days. But then I realized that two and a half years is a heck of a long time so why stress about it. It's crazy to think it will all be over when I'm a sophomore in college which seems sooooo long away. However it also feels really cool that I will have done a couple of crazy things in my teenage years in order to check things off a bucket list I made as a junior in high school. I've made New Year Resolutions the past two years and I've made summer bucket lists every year for as long as I can remember, and I made lists of things I want to accomplish at school each year whenever August rolls around (I'm kinda a bucket list enthusiast). If you haven't already it's not to late to start making New Year Resolutions for 2015 and if you're more of the adventurous type feel free to join in on the 101 in 1001 phenomenon. 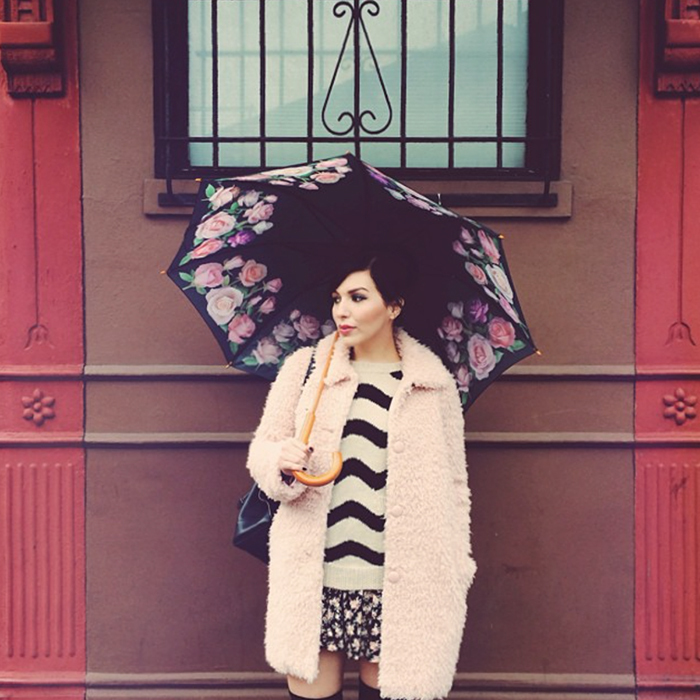 Keiko Lynn is the real MVP of fashion and style blogging. No if's and's or but's about it. 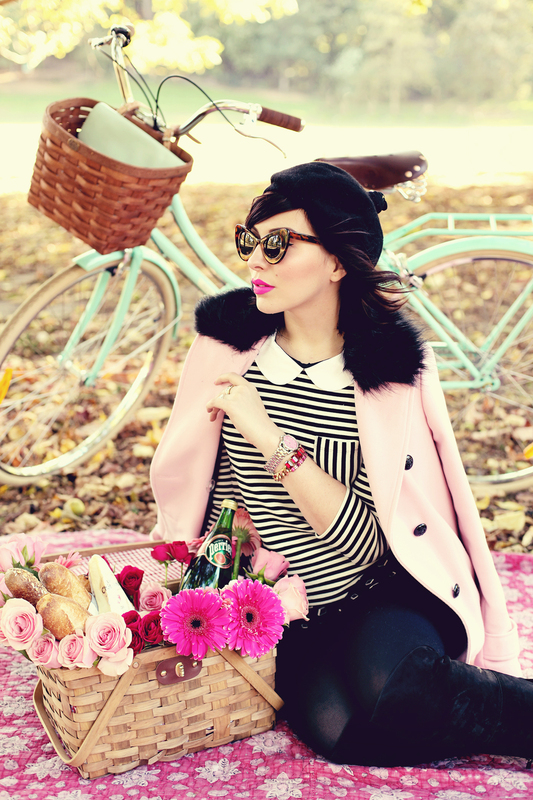 She takes quirky and ultra-femme style to a whole other level on KeikoLynn.com and even her seemingly outrageous outfits can be pulled off at the farmers market or in the park. She has been one of my all time favorite bloggers practically since I started filling my days with online inspiration and sartorial literature. If you take a little look-see around her blog you'll notice the obvious overflow of makeup tutorials and beauty hauls, but don't let that deceive you because she's a jack of all trades. Her outfits and home decor are ah-may-zing (see: Keiko's Room Tour). 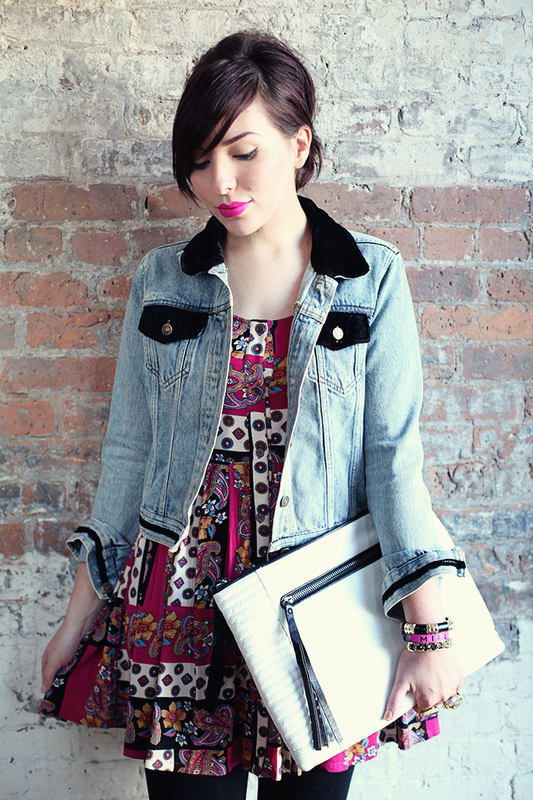 The pictures above are from my favorite outfits she's published within the past 5+ years as a fashion blogger. She has such a distinct style I almost feel that her entire wardrobe has been curated into hundreds of pre-selected combinations and outfits to create what you end up feasting your eyes on at Keiko Lynn the blog. What do ya think of my favorite Keiko Lynn looks? 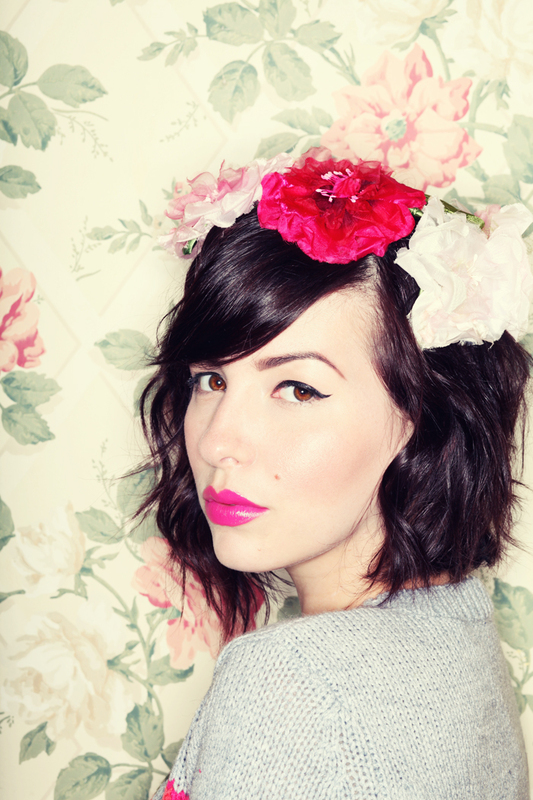 Or who are some of your favorite, uber-chic fashion/style bloggers?? Blair Eadie from Altantic-Pacific comes to mind as a good runner-up. What say you? Why I'm Tired Of Hearing "The French Do It Better"
If you're French and you're reading this I'm not sorry. You're probably a great person and you probably have great style that always looks effortless, but I love the American way of doing things. There's this idea out there that compared to the French, Americans are always a day late and a dollar short when it comes to what the eat, how they raise their kids, what they do in their spare time, and most definitely the way they dress. I appreciate the minimalistic, glamorous style that is associated with the French, but I also love the over-the-top, outgoing nature of American style. I don't want to take one accessory off before I leave my house -- I want to add two more. Mixing patterns and loud prints makes me feel young and unique. Breton tops and red lipstick are fashionable in their own right, but they don't make me feel special. A while back I read an article about a book written by a woman who lived in France for a year and wanted to document all the things she "learned" from the French. However, in the comments section a French woman stated that everything she listed and wrote about isn't unique to the French and isn't even ubiquitous in France. The idea that all French do certain things and dress a certain way that no other country does really turned this French woman off. So what has made us to hold the French in such high esteem? What have they done to deserve such a pedestal? I love the idea of France and the French (as I have not been to France so I can only love the idea of them rather than they themselves) and consider myself a Francophile, but I honestly don't think they are better than America/Americans in every way possible as some are lead to believe. For every French inspired thing I want to do, there is an American styled piece I want to indulge in. Give the American way of doing things a little bit of love and please, I beg of you, stop saying "the French do it better." I've never particularly dreamed of having breakfast with my favorite celebrities, but Teen Vogue editor Andrew Bevan's video series Breakfast With Bevan makes me feel like my life would be so much more fun and glamorous if I got to taste cronuts and enjoy fruit loops with the likes of Janelle Monae, Miranda Cosgrove, and Taylor Swift. A few years ago Teen Vogue created its own YouTube channel and created a plethora of Teen Vogue "original series." If you're familiar with any Teen Vogue issue published within the past two years you're probably aware that the most popular of the almost two dozen shows created is Strictly Ballet. The other shows range from behind the scenes looks at photo shoots and concerts, beauty tutorials, and interviews with celebrities doing normal things like having breakfast or hanging out with their bestfriends. Breakfast With Bevan is definitely one of my favorites from the series. Some of the best interviews are with Anna Sophia Robb and the actors from MTV's Awkward as they sit around a table or in couches talking about any and everything. Some of my favorite interviews to watch online and on TV are those when you can tell the interviewee and the interviewer are good friends and have a hilarious bond. Andrew seems to be friends with many of the people he's come across in his fashion industry past so it's fun to watch him interact and ask questions to some of his closest friends like Coca Rocha and Kate Bosworth. Each celebrity gets two videos for his or her interview with each video/episode running about 5 minutes long so with 36 episodes in the series you have plenty of material to keep you entertained during these snowy few days. For any of you above the age of 10 I don't expect you to have any idea that Katy Perry came out with an exclusive collection of "Katy Perry Approved Concert Ready Accessories and Apparel" at Claire's approximately six months ago. I'm not an avid patron of Claire's, but the past few times I've stopped by their stores I've been excited to see the Katy Perry collection pieces they have on sale. During my last trip I purchased a set of cat silhouette and pearl embellished bobbi pins, a black and silver diamond patterned backpack, and my absolute favorite from the haul, these two holographic journals. I am obsessed with collecting journals and I write so many things down throughout the day that I tend to keep a back stock of journals and notebooks just in case I suddenly run out of paper in the ones I'm using. Now I'm not saying to go out and run to the nearest Claire's to buy their entire stock of wearable and surprisingly non-childish Katy Perry collection accessories. 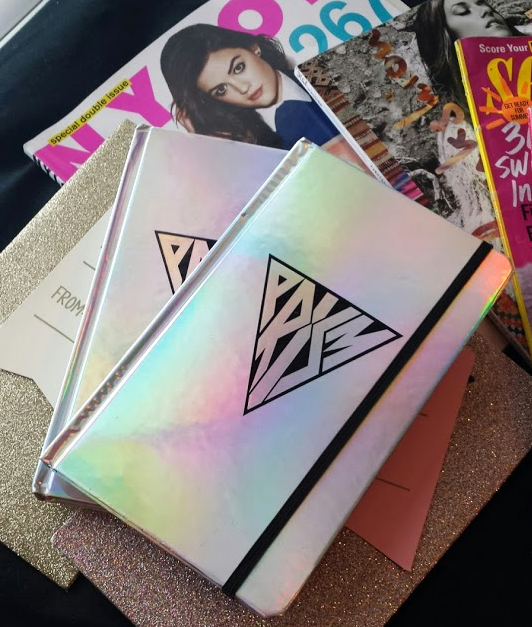 But I am saying that almost everything from the original Katy Perry x Claire's "Prism" collection is only $2 so spend that loose change that's laying around your house wisely because it could buy you an awesome notebook and some super cute bobbi pins. Unfortunately, there's been a little hold up and a few mix ups with many of the giveaway gifts I ordered around Christmas. Snow-mageddon hit a lot of small businesses pretty hard and with all of the technical complications I've been having to deal with I've decided to change things up. The One Year Anniversary Giveaway will now be the Summer Lovin' giveaway! I plan to hold the "new" giveaway near the Summer Solstice so celebrate the beginning of the most care free and happy-go-lucky season there is. The wait will be longer, obviously, but the wait will be worth it since I'm using the extra time to add even more items to the bundle of fun and hoping to partner with a few other bloggers to make this giveaway 10x better than it could have ever been in January. But to hold you over till then here are a few of the items I've gotten so far that you'll have a chance to win in June: a Pearls and Pastries sequin hanger from the Cotton Candy Collection, a Rebecca Minkoff iPhone case, the ever-so-popular "Retail Therapy" wallet, and an array of beauty and skincare products (some of which may or may not be from Burberry:)) so keep your eyes peeled!